TEXAS -- An elderly man was found dead in Katy Friday and it appears he was attacked by a group of dogs. 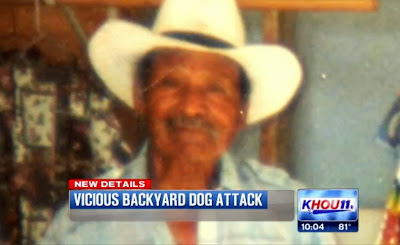 A grandson found the body of Juan Campos, 96, in his backyard in the 22300 block of Maplewood Drive. "I called his name many, many times hoping that he would respond, that he would turn around and ask for help, but he didn’t," said Miguel Velasquez. The grandson said there were three "pit bull type" dogs near his grandfather’s body. The lower part of one of the man’s legs was missing and there were bite marks on his body. "And it just shocked me, it shocked me badly," the grandson said. A pet dog that belongs to the Campos family had also been killed. Cy-Fair EMS and Harris County deputies responded to the scene. At least two dogs were seized by animal control. Residents say at least one of the dogs belongs to a family that lived behind the victim. Evidence showed it clawed through a fence to get to the victim. "There’s a wooden fence that surrounds the complaintant’s yard and there are holes in the fence where the slats have been broken," said HCSO Sgt. Ben Beall. Neighbors say Campos lived in the Katy Country Estates subdivision with his extended family for at least 20 years. He was home alone when he died. 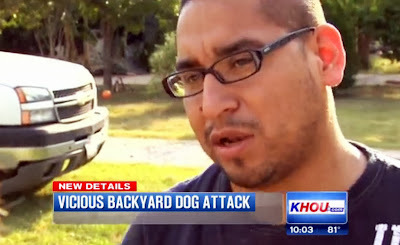 Investigators haven’t ruled out the possibility that Mr. Campos died of natural causes and the dogs mauled him afterwards. "He loved animals. He loved dogs—especially we had a couple that followed him around," Velasquez said. "He was a very healthy man. We were not expecting this," Velasquez said. "And you know, he was 96 years old. At this age, he was still walking. He was doing a lot of things around the house." 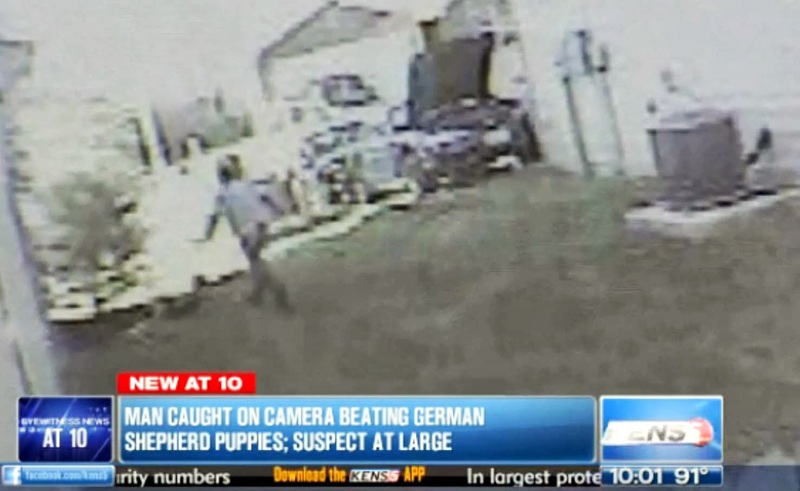 If it’s determined the dogs killed him, their owner could face charges. OREGON -- A Washington County deputy was bit by a dog during a call Friday morning after its owner resisted arrest. The deputy was responding to a call about a man who was banging on an apartment door and making threats at 18985 NW Rock Creek Blvd, said Sgt. Bob Ray with the Washington County Sheriff’s Office. Deputies were trying to arrest the suspect, who was resisting arrest, Ray said. 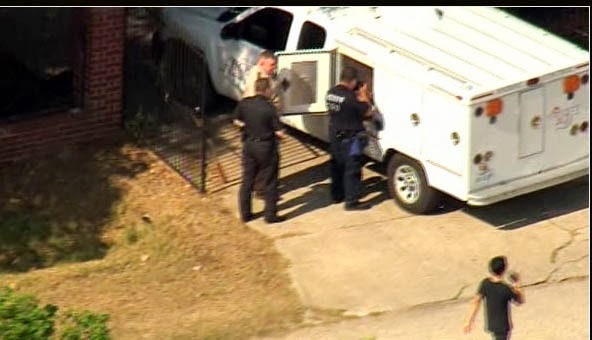 The dog, a pit-bull mix, came out of the apartment the suspect was trying to enter and bit the deputy’s hand. The extent of the officer’s injuries was not yet known. The dog was in custody and will be put in quarantine, Ray said. COLORADO -- A Denver officer has shot and injured a dog who had reportedly attacked a woman and her dog. The dog allegedly killed the woman's dog in the attack in the 1800 block of Patton Court. 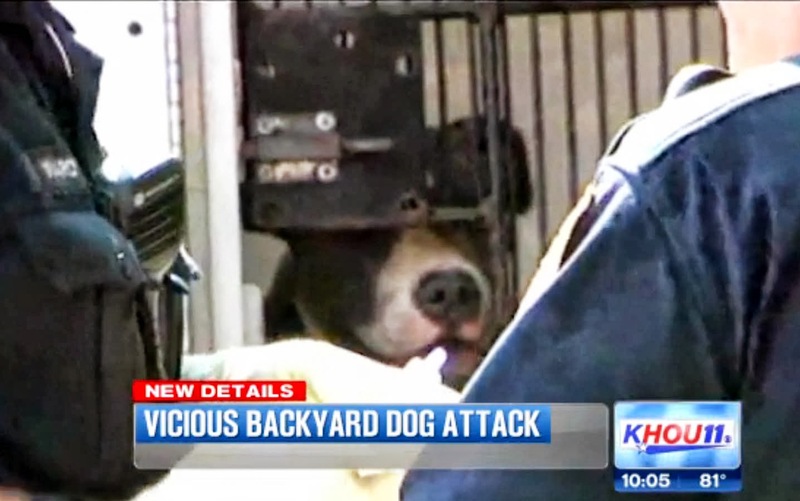 Police say the woman was walking her dog when another dog attacked her dog. She was injured, but it is unclear if it was from the other dog or from falling during the attack. Paramedics arrived on the scene and the attacking dog made an "aggressive move" towards the paramedics and the officers on the scene. 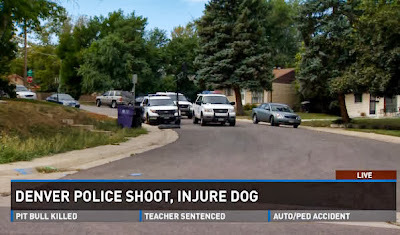 Police then shot at the dog and the bullet hit the dog's shoulder area. The dog is at the animal control hospital now being treated for the injuries. The breed of either dog is unknown at this time. MICHIGAN -- A young child is in the hospital after being attacked while feeding a dog in Southfield. Sources tell Action News the 3-year-old-girl was visiting a family in the 28000-block of Glasgow Friday. 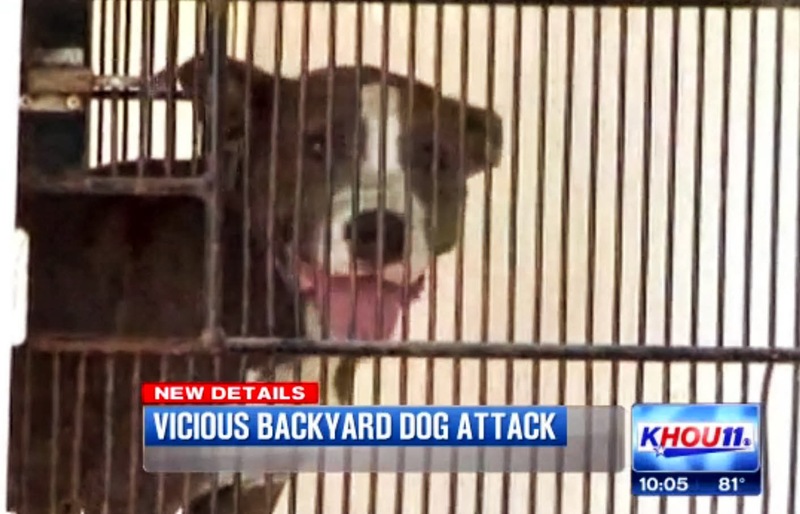 The dog's owners were nearby as she gave the boxer-mix some food when it attacked. We're told the animal severely bit the girl's face. Neighbors say they heard screaming and then an ambulance showed up. The child was rushed to the hospital where she is expected to recover, but the animal was put down. The dog was up-to-date with its rabies shots, but its body will be taken to a lab for further testing. UNITED KINGDOM -- A woman was attacked by a pack of 'out of control' dogs as she walked her pet near Burnley General Hospital. Joy Hird, 59, was left traumatised and feared she may have been killed. One of the dogs, a large pit bull-type dog, lunged towards her Bichon Frisé dog Marley and grabbed his hind legs and sharted shaking him violently. As Mrs Hird tried to free him, she said the dogs turned on her. She said: “I was absolutely hysterical, I managed to get Marley away from the dog, but I lost my grip on his lead. Security guards Graham Cook and Liam McHale, who were on patrol in the hospital grounds, heard her screaming and rushed to help her. Mr Cook said: “Liam and I were carrying out a standard patrol at the hospital when we heard screams coming from a nearby street. 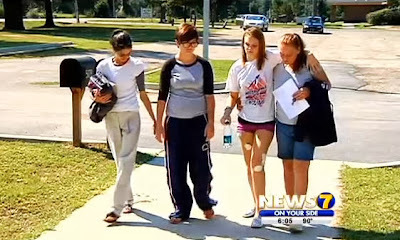 “We saw a lady on the floor being attacked by a large white bull mastiff and a pit-bull puppy. “We physically lifted and dragged the dogs away from Mrs Hird, who appeared to be injured, so that she could escape to safety. We are just relieved that Mrs Hird is okay." Mrs Hird, whose husband Geoffrey, 59, was attending an appointment at the hospital at the time, praised the guards for saving her. 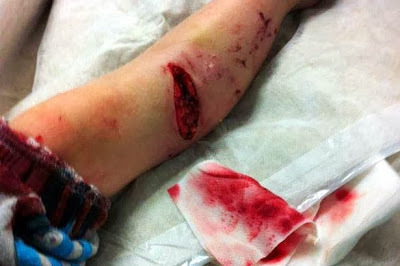 She said: “My dog was bleeding, I was full of blood, I was very, very lucky. If the security guards hadn’t been there I would have had no chance. The security man definitely saved my life. Olwyn Cross, 58, who lives on Ebor Street where the incident happened, came to Mrs Hird's aid after the attack. She said: “I just heard a lot of noise and commotion. I thought it was my daughter-in-law’s dog at first so I went outside. “Joy was sat there with the little dog, she was in shock, the dog was in shock. She had blood on her face, blood everywhere. Mrs Hird went to the urgent care centre at Burnley General, where she was treated for injuries to her hands and arms, and Marley’s injured legs were treated by vets at the Stanley House practice on Colne Road. After the attack a dog warden was called to take the dogs away, and they have now been reuinited with their owner. Police are currently investigating the incident, but no action has been taken against the owner. A Burnley Council spokesman said: “We believe the dog warden has acted correctly throughout this incident. “A serious dog on person attack that results in hospitalisation is a police matter. However the council dog warden did attend the scene and took two dogs away to the kennels where they were seized under the police’s authority. 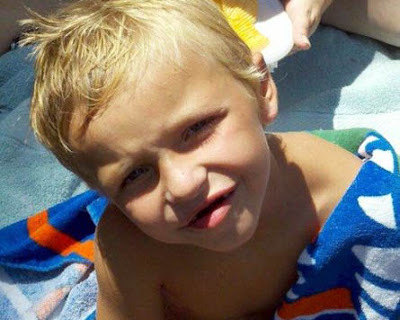 FLORIDA -- It took a local jury about two hours to return their verdicts Thursday evening in the trial of Edward Daniels, Jr.
Daniels was charged with manslaughter and tampering with evidence in an April dog attack that led to the death of 7-year old Tyler Jett. Jurors came back with a split decision, guilty of one charge but not guilty of the other. "We the jury find as follows as to the defendant, Edward Daniels, Jr., as to count one in this case. The defendant is guilty, guilty as charged, of manslaughter," said a Bay County Courthouse clerk. It's a verdict family and friends of 7-year-old Tyler Jett say they've been waiting to hear. "It won't bring Tyler back but Tyler gets justice and I feel bad for his mom and dad too," said Tyler's mother, Brandy Wilhite. "I thought that Tyler got what he deserved. He got his justice. He got what we were hoping for," said a family friend, Kathryn Phillips. Last April, Tyler Jett was attacked and killed by two dogs owned by Edward Daniels, Jr. He died five days after the attack in Pensacola. That incident turned into a two day long trial with charges of manslaughter and tampering with evidence placed against Daniels. Brandy Wilhite, Tyler's mother, says testifying during this week's trial brought her back to that fatal day. "Scared, sad because i got to relive it all. Everybody has to relive it. Have to hear everything step by step," said Wilhite. Attorneys from both sides and Daniels could not be reached for comment after a verdict was reached Thursday. Those close to Tyler say the jury's decision wouldn't have a made difference to him. "Tyler didn't hate nobody. He loved everybody. If he would have lived, it wouldn't have mattered to him," said Wilhite. Instead they wish they could change the past. "I would change him not getting attacked that day and him being here with us today," said Phillips. 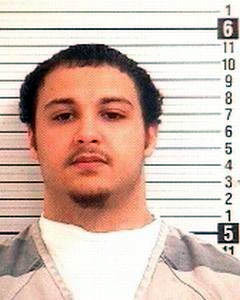 Daniels could face a maximum sentence of 15 years in prison. Circuit Judge James Fensom has set sentencing for October 14th. 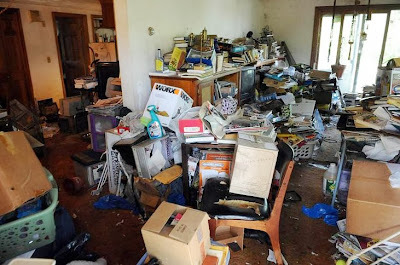 MASSACHUSETTS -- The owner of the Stevens Street home where safety officials found five dogs living in filth last week has signed over their custody and will avoid animal cruelty charges, authorities said this week. Last Monday, authorities executed an administrative warrant at 658 Stevens St. and inspected the home. 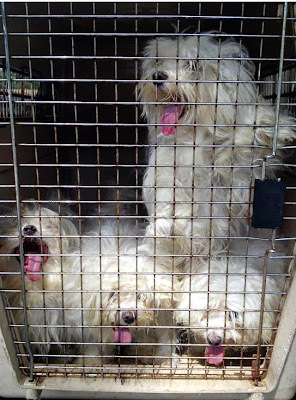 Inside, they found five Maltese dogs with matted fur, living in a cluttered space covered with feces and urine. The owner of the home, Margaret Gardner, told authorities that she was taking care of the dogs for Kim LeMaire, who was found in a Red Roof Inn room in Framingham last month along with 19 filthy Maltese dogs. Immediately after the five dogs were taken from the Marlborough home, Marlborough Code Enforcement Officer Pam Wilderman said she was authorizing the police to initiate a complaint against Gardner for animal cruelty. Wilderman and police officers said this week that those charges will not go through. Last Thursday, Gardner signed custody of the dogs over to the Animal Rescue League of Boston. Wilderman said that Gardner has dogs of her own that are in good condition and properly licensed, so authorities decided to back off the animal cruelty charges as long as the five dogs found at the home were turned over to the proper authorities. Marlborough Police spokesman Detective Scott DeCiero confirmed on Wednesday that the department will not seek animal cruelty charges against Gardner. 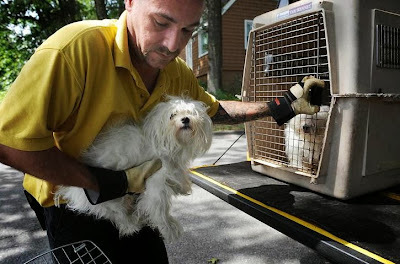 After the dogs were removed from the home, they were taken to the Foster Hospital for Small Animals at the Tufts University Cummings School for Veterinary Medicine. They are now at the Animal Rescue League’s Boston shelter, said Animal Rescue League spokeswoman Ami Bowen. Bowen said the five dogs are currently being treated for a "pretty wide range of medical issues," although she said further information on their condition wasn’t immediately available. After they were initially treated, Wilderman had said that one of the dogs is pregnant. This week, she said two are pregnant. She also reported after the dogs were taken from the home that one of them had white dog shaker syndrome, which causes full body tremors in some smaller breeds. Bowen said on Wednesday that the League is doing what it can to get the dogs healthy and ready for adoption, but those efforts are costly. 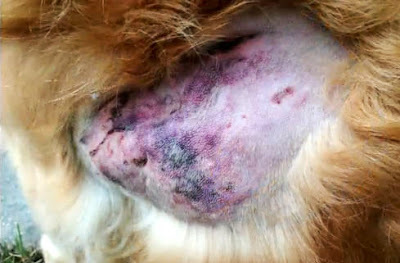 She said the organization is setting up a fundraising page to help pay for the treatment of the five Marlborough dogs. MICHIGAN -- Three dogs, including a puppy, are recovering after someone abandoned them in a garage in Ypsilanti Township, the Humane Society of Huron Valley said. A pit bull puppy, an adult pit bull, and an adult terrier mix were discovered on Thursday when an employee from the local water department was called to turn off the water because no one was living in the home. The humane society was contacted and found that the three dogs were all emaciated and dehydrated and were living in unsanitary conditions. "All three dogs were surrendered to the Humane Society," said Matt Schaecher, cruelty investigator. "They are feeling much better now that they've been given food, water and medical care." Schaecher said that the Humane Society will be submitting a report to the Washtenaw County prosecutor's office seeking charges of animal cruelty. Schaecher said anyone who is having difficulty caring for an animal can call the humane society for assistance. "The Humane Society does everything we possibly can for animals to be able to stay in their homes," Schaecher said. "We have programs to help people take care of animals and offer supplemental food." Once the rescued dogs are in good health, they will be available for adoption, Schaecher said. FLORIDA -- A Palm Beach County man has been arrested on one count of animal cruelty. Palm Beach County Animal Care and Control says that they received a call from Leslie Mosley because he was having problems taking care of his three dogs. Officers asked Mosley to bring the dogs to a shelter in Pahokee and put them in empty kennels. When the officers arrived at the shelter the dogs were running loose in the parking lot. 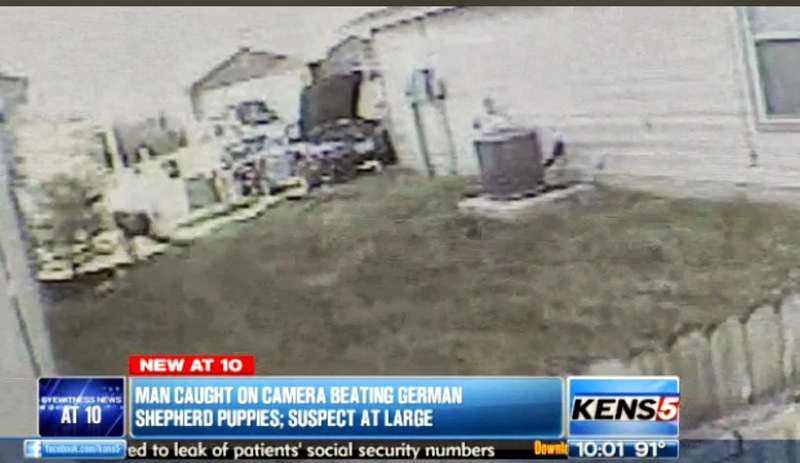 An investigator says a female German Shepherd was very thin sickly and bleeding from both ears. The dog, according to officers, did not respond to treatment and had to be euthanized, according to Mosley's arrest report. Mosley told investigators that he kept his dogs chained outside his girlfriend's mobile home in Belle Glade but he did not live there. The dogs, according to Mosley, were fed and given water every day. 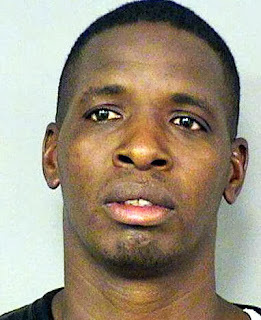 Mosley was arrested and booked into the Palm Beach County Jail. He was released on bond. NEW HAMPSHIRE -- Police are asking the public for help in identifying the owner of an abandoned Great Dane in need of medical care. Police said the 100-pound, black and white dog was left Tuesday at a local dog-grooming company. The dog, estimated to be four years old, was turned over to the animal control division. 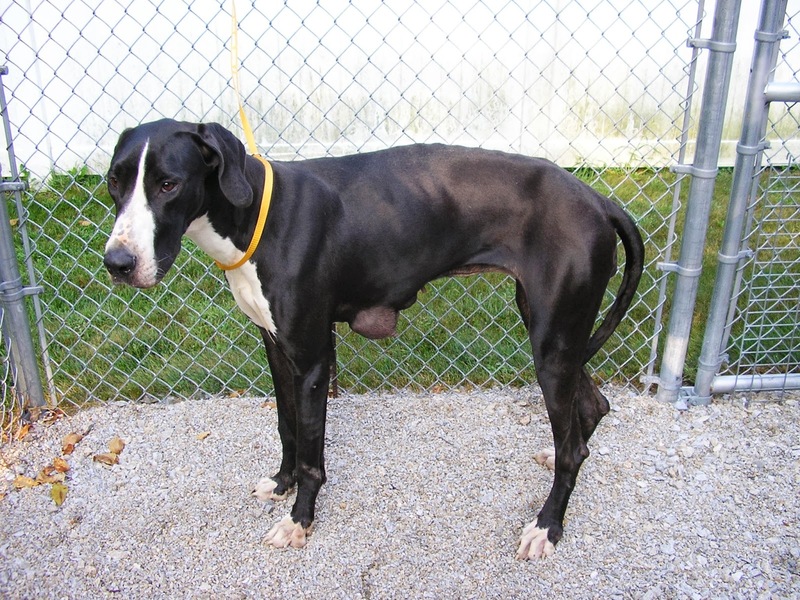 The Great Dane has a good nature, but also has some medical issues, police said. 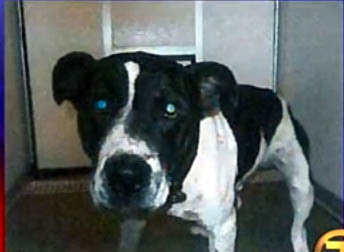 Information on the dog's medical history is necessary to assist in providing proper medical care, police said in a release. Anyone with information about the dog is asked to call Hudson animal control officer Jana McMillan at 889-7387 or Hudson Police Crime Line at 594-1150. 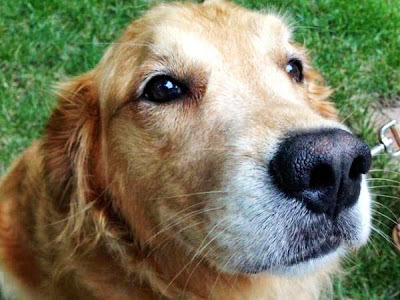 NEW JERSEY -- On the morning of Aug. 16, Kim Davis and her daughter watched in horror as their cat Maximus was mauled to death by a neighbor’s dog. The dog, described as a pit bull, had escaped its home and wandered into Davis’ yard on Bayshore Road. According to Davis, the dog entered her yard through a section of fence that was damaged during Hurricane Sandy. The dog grabbed Maximus and did not let go, even as Davis, who tried desperately to divert the dog’s attention, screamed and threw things in its direction. Once Maximus lay dead the dog turned its attention to Davis’ remaining animals: a rabbit in an outdoor hutch and her two small Chihuahuas on the porch. Fortunately Davis was able to secure the other animals before any harm could come to them. A court date was set for August 29, when a judge will determine whether the dog should be deemed a “potentially dangerous dog” or be euthanized. 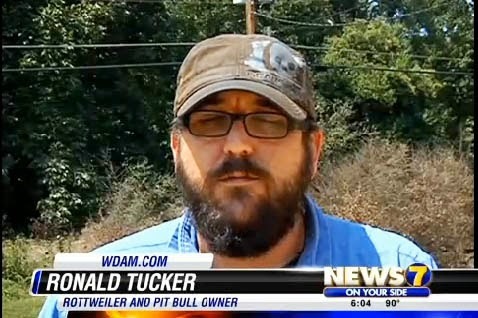 If the pit bull is not euthanized, Michael Mattera, the owner of the dog, will be required to build a secure 12x12 foot compound with a concrete bottom and double doors. Signs notifying the public of a vicious animal would also have to be posted on the property and be visible from 100 feet away. No one under the age of 18 would be permitted to walk the dog and the dog would need to be muzzled while in public. Additionally, the licensing fees for the dog would cost $700 a year. These conditions would remain throughout the dog’s lifetime, even if the owner would relocate. 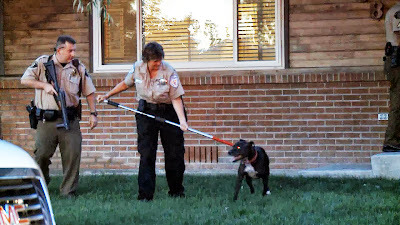 According to the law concerning potentially dangerous dogs, “an animal control officer shall seize and impound a dog when the officer has reasonable cause to believe that the dog” committed one of the following acts. a) The dog attacked a person and caused death or serious bodily injury. b) The dog caused bodily injury to a person during an unprovoked attack and poses a serious threat of harm to persons or domestic animals. c) The dog engaged in dog fighting activities. d) The dog has been trained, tormented, badgered, baited or encouraged to engage in unprovoked attacks upon persons or domestic animals. Additionally, the law states that “the dog shall be impounded until the final disposition as to whether the dog is vicious or potentially dangerous. 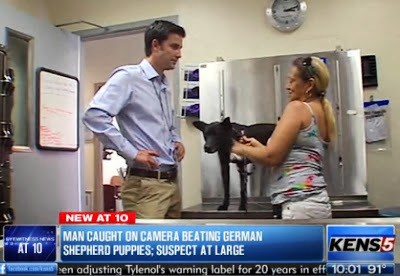 Subject to the approval of the municipal health officer, the dog may be impounded in a facility or other structure agreeable to the owner.” Davis alleges the dog was returned to the owner a short time after the attack. Cape May County Animal Shelter Manager Judy Davies-Dunhour said she wasn’t aware of the incident and the dog was never impounded at the shelter. Upon hearing the details of the attack and referencing the state’s laws on potentially dangerous dogs, Davies-Dunhour was surprised the dog was not removed from the home and impounded at the shelter. Lower Township Animal Control Officer Don Montgomery said that in some cases a dog could be confined in the home, should the Department of Health find the structure agreeable. 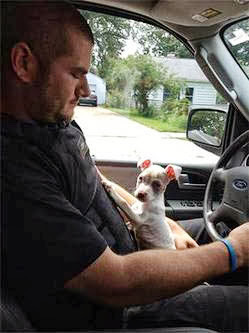 Montgomery was not the responding officer and was not able to determine why the dog was returned to the owner. A representative from the Cape May County Department of Health said that the department would only become involved if the dog was exposed to rabies. When asked about the incident at Lower Township’s August 19 council meeting, City Manager Michael Voll was unaware of the attack. Davis was later told that the animal control officer who responded to the attack had not yet filed the necessary paperwork because he was giving Mattera one week to present the dog’s medical records. If the paperwork is not provided, police will seize the dog and take it to the Cape May County Animal Shelter until a judge determines its fate. But for Davis and her family, the damage has already been done. Maximus, the three year-old rescue with one eye and a crooked smile, is gone and a neighborhood is left wondering how this could have happened. TEXAS -- Animal cruelty charges could be filed on an Erath County woman and her mother following the death of a longhorn and four buffalo. The Erath County Sheriff's Office responded to a call Aug. 9 reporting several dead animals at a residence near Hico. The responding sheriff's deputy called a local veterinarian to assist in the investigation. "The veterinarian found that these animals died of dehydration," Sheriff Tommy Bryant said. It appears the animals' deaths may have been the result of a marital dispute. The couple who owned the animals had reportedly just split up with the husband moving out. Bryant said the man wants to pursue animal cruelty charges against his estranged wife and her mother. No arrests in the case have been made, but a request for an animal cruelty warrant has been sent to County Attorney Lisa Pence's office. 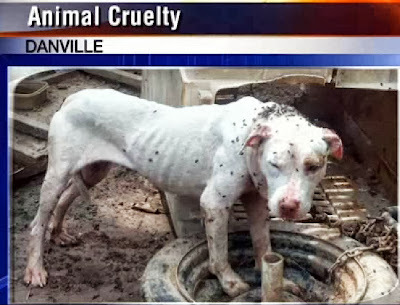 VIRGINIA -- Danville police have charged Paula Snipes Easley, 43, with several animal cruelty charges after officials found her dog chained to the ground Tuesday. According to police reports, officers found a white, female pitbull chained to the ground with less than a foot of chain. The dog couldn't walk or move its head. The chain was embedded in the neck, causing severe injury. The police report also said flies and maggots covered the wound. The dog was underweight and also had wounds on her legs and body. Officials took the dog to a local veterinary clinic where she is being treated. She may need surgery for the neck injury. Cruelty to animals in Virginia is a misdemeanor. The Danville Area Humane Society has petitioned the General District Court for a custody hearing on Wednesday, September 11, at 2:30 p.m.
TEXAS -- San Antonio continues to fight a problem with animal abuse and within the last two weeks Animal Care Services has seen two separate high profile animal abuse cases. ACS officials shared surveillance video with KENS 5 that shows two German Sheppard puppies playing and running through a south side neighborhood. However, the scene quickly turns into a nightmare. ACS detectives said one man didn’t have patience for the dogs playful behavior and started beating the animals with a tool. During the KENS 5 interview with ACS, Kathy Cortes, a foster parent for dogs, overheard the abuse story and started crying. “I just can’t wrap my mind around the fact that people can hurt an animal in that way,” said Cortes. In a separate incident, detectives said last week someone chained a pit bull to a flatbed trailer and dragged him half a mile down Nogalitos Street. 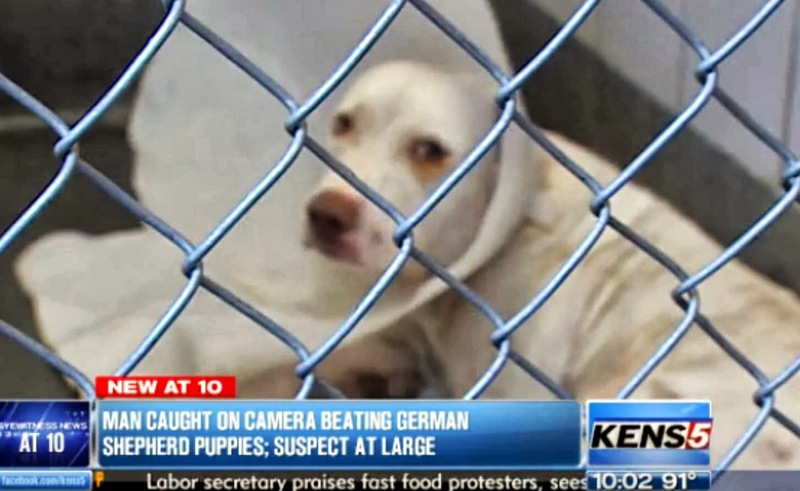 “Unfortunately this type of cruelty is all too common in San Antonio,” said Norwood. Norwood said an increased awareness of animal cruelty laws has led to more cases filed with the district attorney’s office. However, it’s not stopping people from committing these types of crimes. “There’s no need for abuse, it solves nothing,” said Cortes. ACS investigators are still working to build cases against the people responsible in both cases. As for the pit bull dragged down the street, officials said the person driving was in a red or dark colored truck hauling a flatbed trailer. Authorities said the incident happened on Nogalitos near East Cevallos and the driver is a Hispanic male with dark hair and eyes, possibly in his late 40’s or 50’s. Anyone with any information is urged to call authorities. UNITED KINGDOM -- In a case of horrific animal cruelty, a man who left his dog to die in a ditch after shooting it six times and hitting the animal with a shovel, has been jailed. Sick Marc Turnbull mercilessly shot the helpless cross-breed pooch Rocky five times in the head and hit him with a shovel in an attempt to kill the dog. 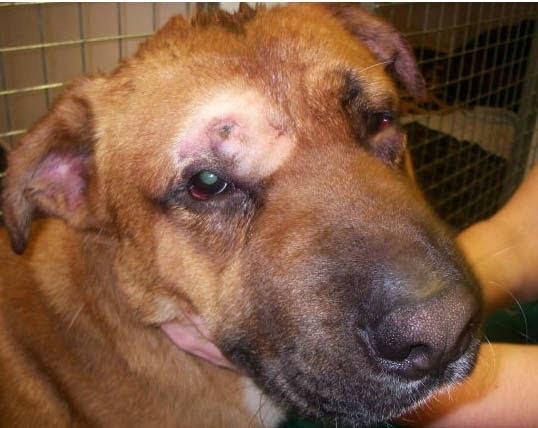 Rocky was left in agony for three days before he was found by a member of the public. The 38-year-old, from Northampton, claimed inflicting the appalling injuries was his only option after he failed to find another home for the dog. Magistrates heard Turnbull shot the dog with an air rifle, battered him with a spade and left the dog in a ditch on the A5 near Weedon, Northamptonshire, on April 21 this year. When he was examined by veterinarians, he had severe head injuries and x-rays showed he had been shot five times in the head and once in the leg. He also had a large open wound on the back of his head which was down to the ridge of the skull and had been caused by a blow to the head. Turnbull, who was traced due to the dog being microchipped, admitted three charges of causing unnecessary suffering to Rocky. He was jailed for 20 weeks at Northampton Magistrates' Court on Tuesday. He was also banned from keeping animals for 20 years. 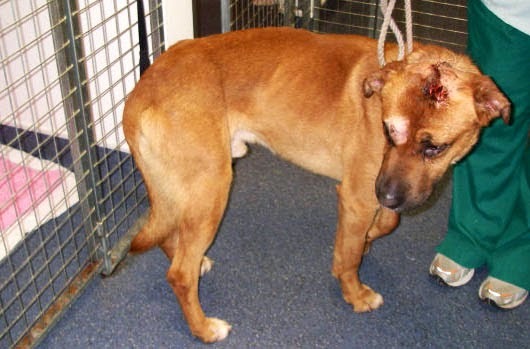 RSPCA inspector Michelle McNab said: "This was a truly unbelievable case that involved immense suffering to the dog. "Fortunately, Rocky was found and amazingly he survived. He has since been re-homed to a loving family." 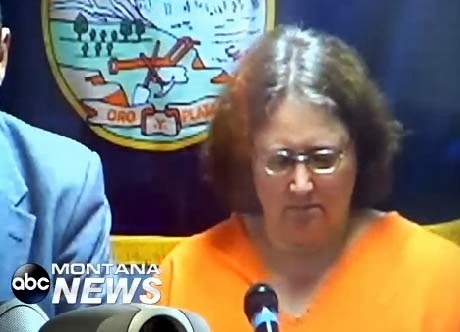 Montana: Rebecca Korn, 56, accused of leaving 12 cats to die; police found their bodies inside her trailer. Sister believes there may have been up to 20 cats that slowly died inside. MONTANA -- Acting Justice of the Peace Mike Frellick ordered a 56-year-old Condon woman released from the Missoula County jail without bail after Missoula police found a dozen decomposing cats Wednesday in a residence she abandoned. Rebecca Korn appeared in Justice Court on Thursday and is charged with one felony count of aggravated animal cruelty. 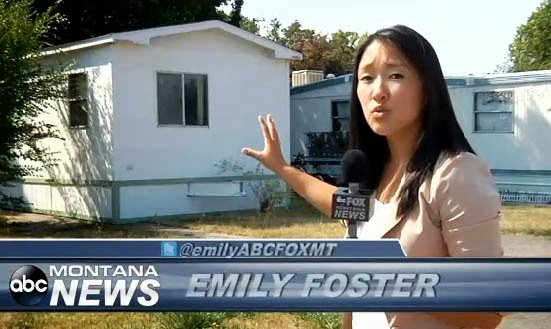 According to an affidavit, Korn’s sister reported to law enforcement Wednesday that Korn had abandoned her home several months ago, leaving a number of cats that she thought may not have been provided for. The sister originally thought it was upward of 20 cats, Missoula Police Sgt. Travis Welsh said. Missoula police contacted Korn at her place of employment, and she made a remark that she knew why they were there. “With the woman’s consent, she gave us permission to enter the residence and check the welfare of the animals,” Welsh said. WHY DID SHE LEAVE THE CATS INSIDE TO DIE? She stated that she was suffering from depression and had abandoned the home because “she couldn’t take it anymore,” the affidavit said. 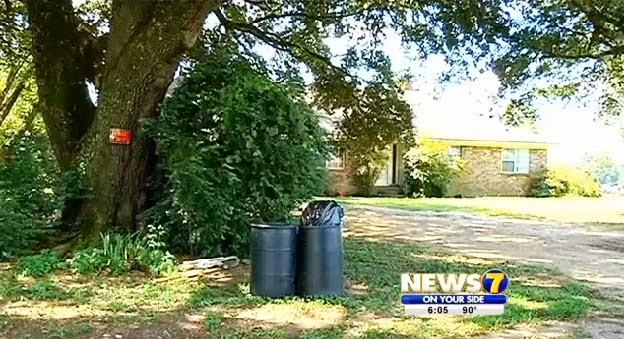 Officers said every surface in the house was covered in cat feces. After retrieving Tyvek protective suits and masks, police entered the residence and found decaying skeletons of approximately 12 cats. The affidavit said aside from a few open cans of cat food, there were no signs of provisions left out for the animals. The woman looked down and rocked back and forth when she appeared in court Thursday. The state suggested $2,500 bail and a restriction on having pets. The defense agreed the woman should be restricted from owning pets, but requested Korn be released on her own recognizance. The woman stated that she currently doesn’t own any animals. Frellick honored the defense’s request, allowing the woman to be released on her own recognizance without posting bond. Yeah, just let her walk right out of the courtroom without having to pay one red cent. Morons. A preliminary hearing was set for Sept. 13. MISSOURI -- Police in Chillicothe, Mo., said they are investigating one of the most usual cases of animal cruelty they have ever seen. Police received an anonymous tip that sent them to a home where a number of rabbits were being abused. Police described what they found as bizarre. 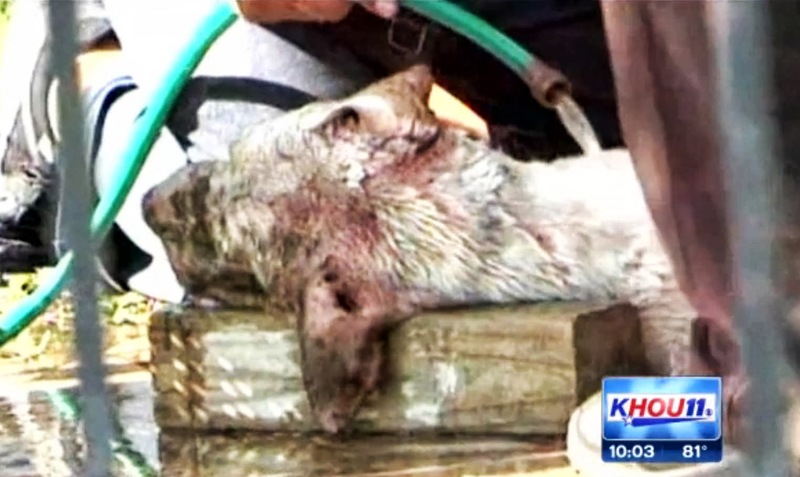 Police found 17 neglected animals and two decomposed rabbits. The rabbits that were found alive are being treated at an area shelter. James Venneman, 29, of Chillicothe, faces 18 counts of animal cruelty and neglect charges. Chillicothe is about 90 miles northeast of Kansas City, Mo. NEW YORK -- An investigation against the owners of emaciated horses in Moira has been dropped and no arrests will be made, according to state police. State police received several calls May 29 about possible animal cruelty to three horses, according to Trooper Jennifer Fleishman, public information officer for Troop B.
Moira Town Supervisor Cindy Gale said the horses used to be on Clark Street and were moved to Best Road this summer. Owners Frank Burgess and Brenda Waite Shampo said they received the horses in the same condition a few months ago, according to state police. Trooper Fleishman said Monday that the horses recently were moved to an undisclosed location. Mr. Burgess and Ms. Shampo still own one of the horses, police said. They could not be reached for comment. Veterinarian Julie Clas “determined it was doing much better, so they will keep it,” Franklin County District Attorney Derek P. Champagne said, referring to reports he received from the state police. Ms. Gale recounted an unpleasant conversation with Ms. Shampo in May. 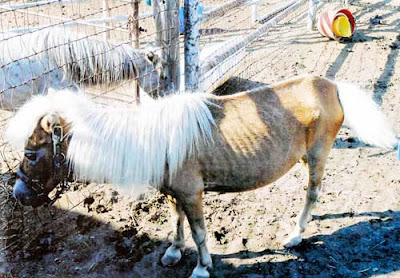 “She told me she was trying to fix them up and that she got them like that,” Ms. Gale said in June, adding that Ms. Shampo suggested her horses were none of her business. She said she contacted police after the confrontation. Ms. Gale noted that the reason the troopers have seen adequate food and water in the area is because residents have been feeding them and the owners have been taking the credit. Mr. Champagne said one of the horses had to be taken to an equine facility for better nourishment and treatment. Sue McDonough, New York State Humane Association president and a retired police officer, noted that jail time for those that are arrested could be up to a year for an animal cruelty charge. She said she has been through several hundred cruelty investigations in the 26 years she was a policewoman. She has been around horses for around 50 years. 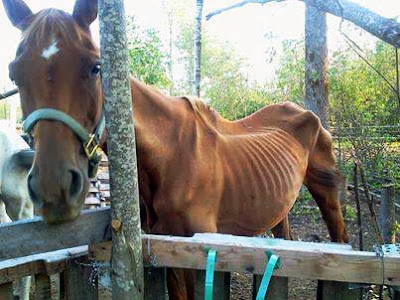 Equine Advocates PresidentSusan Wagner of Chatham said one of Equine Advocates supporters had shown the picture of the chestnut horse to her on Facebook. “People contact me because I know the law,”Ms. McDonough said. However, she noted it is up to the police to deal with the situation. “I personally didn’t go [see the horses], but it’s pretty obvious they’re not being cared for properly,”Ms. McDonough said. Proper care of horses is the correct food, clean water, and a three-sided structure for shelter. Ms. Wagner noted that emaciated horses she has taken care of have been in the hospital for at least a month for recovery. Ms. McDonough added it is important for police officers to learn how to deal with animal cruelty. Only those that go to seminars she teaches around the state know what to look for, she suggested. “We need to get it into the penal law,” she said, noting that police officers are taught about the penal laws and criminal procedure in the academy, but not so much the agriculture and market laws. “They don’t know what to look for,” she said. For the past three years, New York State Assemblywoman Linda Rosenthal, D-67th District, has been trying to get a bill passed that would allow police officers in the academy to go through adequate training on how to deal with animal cruelty. [This is a very odd story. First, the photo began making its rounds on the internet with people asking for help. Then the state police got involved. However, all the news articles "poo poo" animal cruelty allegations and seem to support the police who are saying nothing's wrong here, move on. If you have time and the inclination, read up all the stories for yourself and decide if there's something fishy going on. 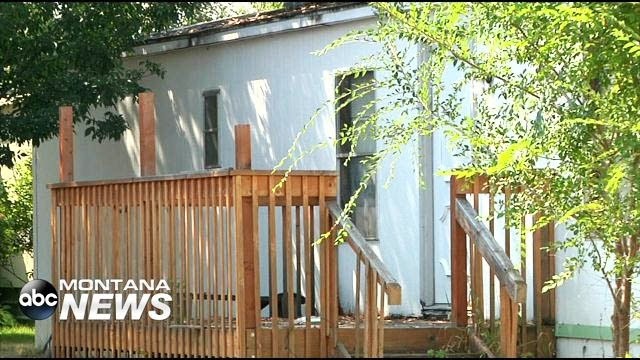 COLORADO -- The Mesa County Sheriff’s Department said Thursday it will not pursue criminal charges in a case in which a Fruitvale infant was bitten in the face by the family’s pit bull, likely permanently disfiguring the child. But a deputy who responded to a home at 586 Ronlin St. during the Tuesday night incident said items found in the yard may have been used to train the dog to attack, according to a report from the Sheriff’s Department. In a supplemental report in the case, in which Cpl. Jamie Pennay interviewed the child’s mother, Amy Knepper, the deputy advised the mother that no charges would be likely. “I advised Amy that based on her statement and what was seen on the scene, I did not see anything of concern,” Pennay’s report read. Pennay informed Knepper, who was concerned that her child would be taken away from her, that Child Protective Services would be contacted. Pennay explained that is standard procedure in such a case. Mesa County District Attorney Pete Hautzinger said on Thursday that he was not contacted about the case and was not asked by the Sheriff’s Department whether he would recommend charges. He said someone in his office may have been contacted about whether his office would press charges, but Hautzinger was not immediately aware of it. Knepper couldn’t immediately separate her child from the dog and had to pull the child away, she told deputies, according to the report. An emergency room doctor at St. Mary’s Hospital reported that the child sustained multiple lacerations to her face, including muscle damage. He said the child would be permanently disfigured and the doctor signed a form that indicated the child sustained serious bodily injury from the incident, the report said. A neighbor told deputies the dog had been “playful and non-aggressive until the recent past. 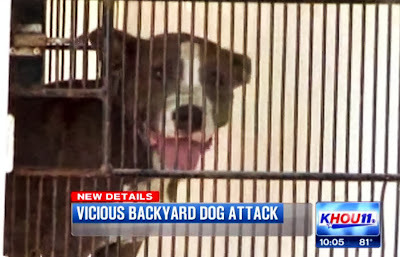 She said it attacked other dogs passing the location in the past and has been seen acting aggressive at the chain link fence when others walk by the residence,” the report said. Knepper told deputies they had Presley for seven years and he was their “baby” before she had a child. Knepper told deputies Presley had been good with her and her child, but started to get aggressive with other dogs after her child was born. Knepper said she was concerned about the change and had a trainer visit who told her Presley was a good family dog. Knepper told deputies she wanted Presley put down and that she didn’t want to go back into the home with the dog there. Animal control officers took possession of the dog without incident. The dog is in the custody of Mesa County Animal Services on a rabies hold, which is standard in cases of dog attacks, according to Penny McCarty, director of Mesa County Animal Services. WISCONSIN -- An Oshkosh woman can sue a man for injuries caused by his adult daughter’s dogs, a divided state appeals court ruled Wednesday. The District II Court of Appeals concluded that Julie Augsburger’s injury lawsuit against George Kontos, of Butte des Morts can proceed to trial in November. 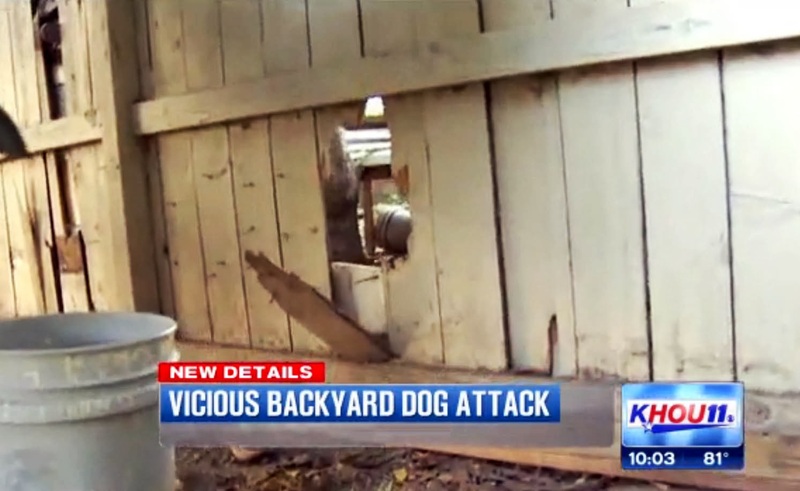 The appeals court ruling found that, as the owner of the property, Kontos could be sued for the dog attack even though he did not live there. Kontos’ daughter, Janet Veith, lived rent-free with her husband and six dogs, at a property in Larsen that Kontos owned as his eventual retirement residence. 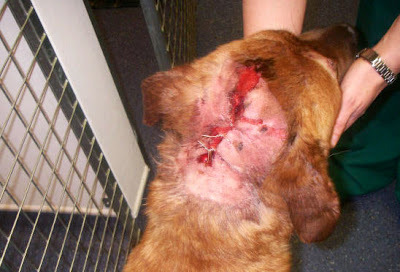 Augsburger, a long-time friend of Veith, claims she was “viciously attacked by at least four dogs” during a visit to the property in June 2008. According to a brief filed by Augsburger’s attorney, When Augsburger walked through the backyard the dogs ran out of the house barking at her. The dogs knocked Augsburger to the ground, tore off her pants and bit her at least 11 times causing severe lacerations to both legs. Augsburger thought she was going to die, the brief states. The majority appeals opinion found that Kontos was the “statutory owner” of the dogs under a clarified definition of “harboring” an animal. 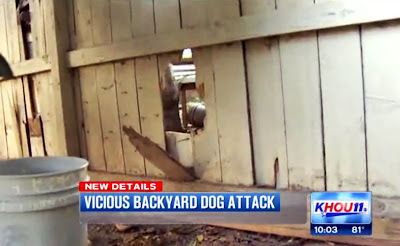 Even though Kontos did not own nor keep the dogs, he gave the Veiths’ dogs shelter for more than one year prior to the mauling, thus harboring them, according the opinion. In his dissent, Judge Paul Reilly criticized the majority’s “hypertechnical application of the law,” for getting in the way of a common sense look at the facts. A lawsuit is also proceeding against the Veiths for Augsburger’s injuries, said her attorney, Joseph Troy, but he wanted to join all responsible parties in the case. “I’m not surprised by the ruling. 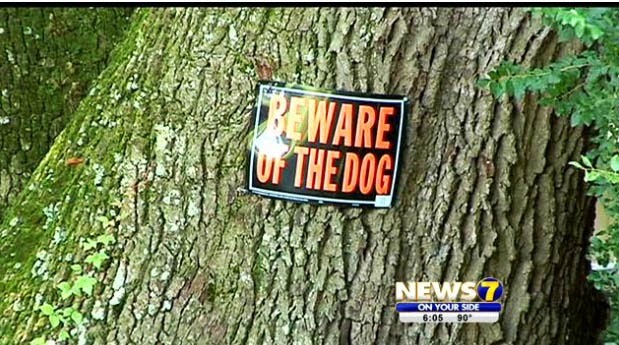 It follows state statutes that say persons that harbor a dog are its statutory owner,” he said. A call to Kontos’ attorney, Jarrod Papendorf, wasn’t returned by deadline. 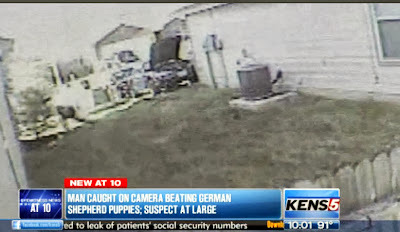 Papendorf had appealed a judge’s refusal to dismiss the case on grounds Kontos wasn’t the dogs’ owner. The case will be heard in Fond du Lac County Circuit Judge Gary Sharpe because Kontos had been a bailiff in Winnebago County. 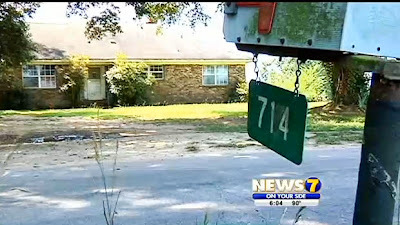 MISSISSIPPI -- The owner of the Pit Bull and Rottweiller that attacked two Jones County teens last week wants to set the record straight on what happened during the attack. Ronald Tucker says he is truly sorry for the attack, but he denies the teens claim that his wife stood by and did nothing during the attack. Tucker says the girls were walking past his home when one of them got thirsty and went to the door to ask for some water. She went despite there being visible no trespassing and beware of dog signs on the property. that it's your fault that his dogs rush out the open door and try to kill you. When his wife opened the door the dogs rushed past her and attacked the girl. Tucker says his wife and his 12-year-old daughter tried very hard to get the dogs of the girls. "As soon as they pushed past her to go out the door the girl tore out screaming and running and the dogs attacked," said Tucker. "My wife went outside trying to stop the dogs. She finally got them calmed down, put inside, and apologized severely for the girls being attacked and they left"
Tucker denies claims of a neighbor of similar problems in the past. He says the dogs have not shown aggressive tendencies in the past. Laurel Animal Control has quarantined the dogs for ten days after which they will be returned to Tucker. He says he is not sure yet whether he will keep them once they are returned. The parents of the teens have said they want the dogs to be put down because of the attacks. OHIO -- One man was wheeled out of Youngstown Municipal Court just before his arraignment Thursday after being cited on charges of obstructing justice after his dog mauled a letter carrier. VIRGINIA -- Police are investigating after a dog bit a child in Chesterfield Wednesday night. The incident happened along the 1800 block of Parkway Lane about 8 p.m., according to officials. 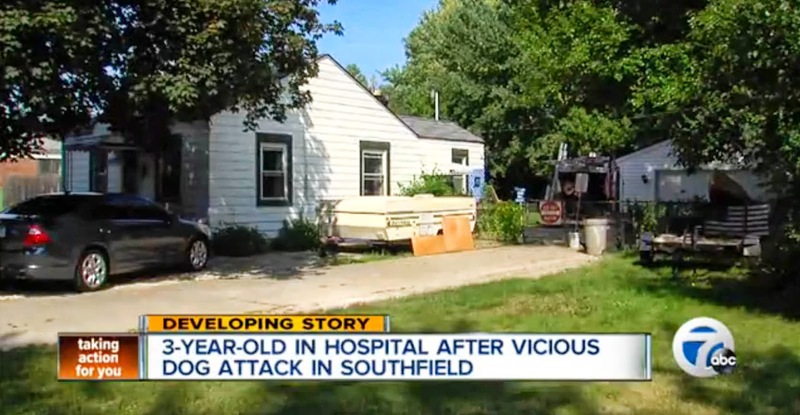 Police and animal control responded to a call Wednesday evening involving a 5-year-old boy who officers said was attacked by the homeowner’s American bulldog. According to police, the boy was bitten on the head and rushed to VCU Medical Center with non-life threatening injuries. Investigators said the bulldog is being quarantined at the county’s animal shelter. However, police and staff at the shelter denied CBS 6 News’ requests for an interview — and would not say what led to the attack because of their ongoing investigation. “I got parents who will brag to me that their dog would never bit the children. And they let children ride on him and step on their toes,” said Sarah Babcock, SPCA Chief of Education and Training. Babcock, who could not specifically comment on this case, said dog owners should always watch their pets and teach children how to deal with them. Animal experts said if you come face to face with an aggressive dog, never run away or make a lot of noise. Stand very still and if you’re knocked to the ground, curl up in a ball, wait for the dog to leave and call 911. Chesterfield police would not comment on the extent of the little boy’s injuries as they continue their investigation. There is no word if or when the dog could be put down. 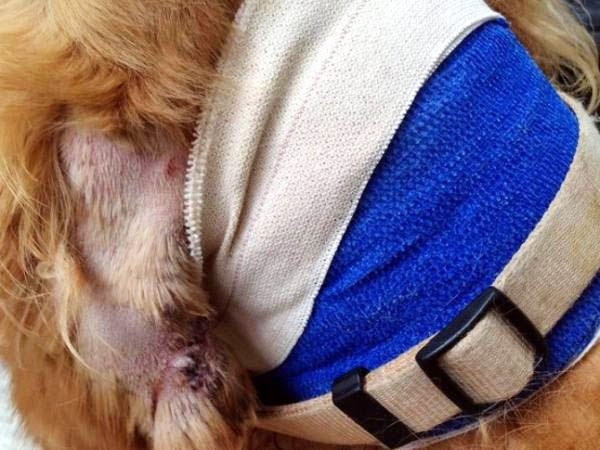 UNITED KINGDOM -- A five-year-old boy was left needing surgery after he was attacked by a dog outside his home. 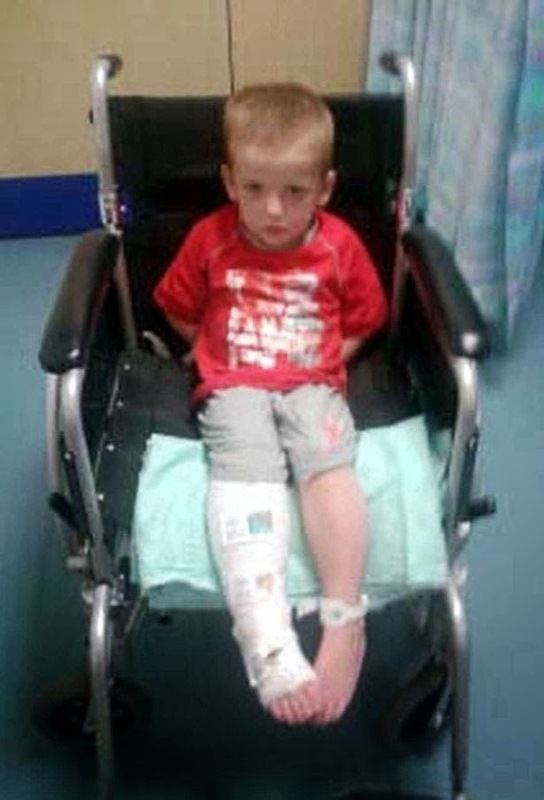 Mum Mellissa O’Hare, 31, said son Owen Maguire was playing in the front garden of their home on Corinto Street, Toxteth, on Tuesday afternoon when the dog bit him in the leg. She said: “He was playing with a neighbour’s child and his sister and little brother. This lad came past with his dog on a lead and I had the decorators in so he stopped to talk to the decorator. “The next thing I heard was Owen screaming. The dog must have had hold of his leg for 40 seconds, if not a minute. The dog, thought to be a Staffordshire bull terrier, was later destroyed by police. Owen was taken to Alder Hey Hospital and yesterday he was waiting for surgery on his leg. Mellissa said: “The cut is right down to the bone. They’re not sure yet whether there is muscle damage but he is having to have surgery. He’s got bruised ribs as well where the dog has tried to drag him. 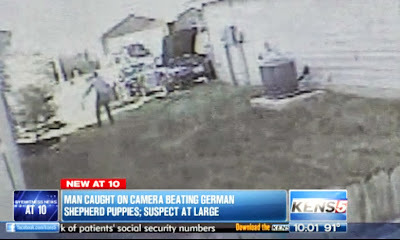 She added: “The man told the kids to stay away from the dog so he must have known it wasn’t safe. Merseyside Police said officers were called to Corinto Street at about 12.50pm on Tuesday. A police spokesman said the dog, which was not thought to be a banned breed, was handed over to police and destroyed. UNITED KINGDOM -- This paddling pony was left with a long face after it stumbled into a luxury swimming pool. RSPCA officers had to rescue the four-legged swimmer after it was found wallowing helplessly behind a house in Chichester. The stray pony had wandered into the back garden and plunged through the pool’s hard cover. Firefighters then pumped the pool dry before leading the sodden animal up the steps to safety. RSPCA animal welfare officer Marie Stevens said the pony was in a stable condition after its watery adventure. Rescuers are puzzled as to where the pony came from and the RSPCA is appealing for the animal’s owner. 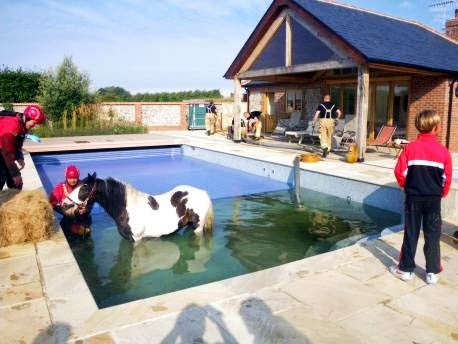 Ms Stevens said: “I arrived just after the fire brigade at 7.30am to find the black and white pony up to his neck in the shallow end of the pool. A fire officer went into the water with a harness for the pony and held him as the cover was removed. NORTH CAROLINA -- Julie Pribyl says she is thankful for two people who intervened Tuesday morning when she and her 5-year-old golden retriever, Daisy, were attacked by two other dogs in the Wood Valley Drive neighborhood in north Raleigh. Wednesday. "They pulled me onto the ground onto my stomach and were pulling me into the woods." "They relentlessly would not stop attacking her. I kicked and screamed," she added. "I yelled 'Help me! Help me! Help me!' at the top of my lungs. I knew I couldn't let go of her leash, and I had to pull very hard." That's when an employee with the North Raleigh Tree & Bucket Truck Services who was working in the area heard Pribyl and came to her rescue. 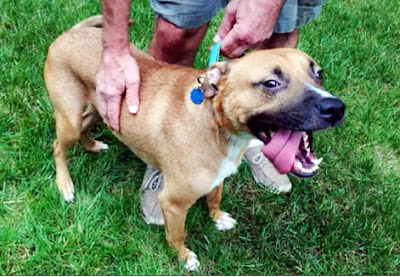 The worker, who did not want to be identified, grabbed a shovel, and a neighbor who also heard the commotion used an umbrella to get the dogs – a pit bull-mix and a foxhound – away from Pribyl and Daisy. 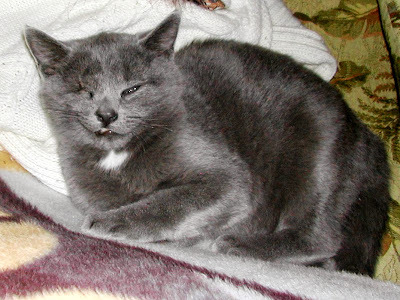 Pribyl was scraped up a bit but wasn't seriously injured. Daisy, however, has months of healing ahead from injuries she received to her ear, several puncture wounds to the neck and elsewhere on her body. "It would have been a different story had they not showed up," Pribyl said of the two men. "I have nothing but the utmost respect for that man," Kevin Kenny, who owns the tree removal company, said of his employee. "There's a guy who had everything to lose, and he didn't even stop to think. He just ran into harm's way and saved that woman." The dogs, which Pribyl said she has never seen before, ran off, leaving Wake County animal control officers to search for them and their owner. After WRAL reporter Amanda Lamb and photojournalist Chad Flowers interviewed Pribyl Wednesday morning, a neighbor flagged them down after finding a stray dog. Lamb called the owner, Shep Wells, and also Pribyl, who identified the dog as one from Tuesday's attack. Wells admitted to letting the dog, Crosby, run free Tuesday and Wednesday, along with another dog. He said he had let them out to go to the bathroom and that he got distracted. Animal control officers ended up charging Wells with two misdemeanor counts of creating a nuisance – charges that each carry a $200 fine. Wells said that although his dog has been involved in "scuffles" with his other dogs, he was surprised to hear that they attacked Daisy and Pribyl. "I'm really sorry about the whole thing," he said. "I'm willing to make it right, whatever needs to be done." TEXAS -- After an ongoing investigation, Tony Norman and Nita Norman were served a seizure warrant Aug. 13 for cruelty to animals by the Young County Sheriff’s Department. Twelve mini horses and two donkeys were seized from the property, located at the corner of Highway 16 North and Rocky Mound Road that day. 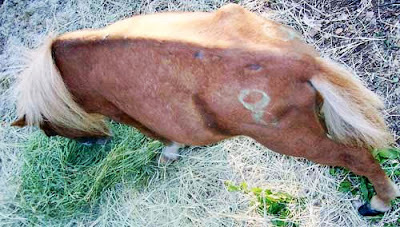 According to the Burnham Veterinary Hospital report, the livestock were malnourished, scoring a 2 or 3 on the Henneke Body Condition Scoring System, with excessively long hooves. The scoring system measures the health of a horse, with 1 being emaciated and 9 being excessively fat. The horses and donkeys were very thin with faintly discernible bone structures, prominent ribs and spines, protruding hip bones and accentuated necks and tailbones. Young County Attorney Dayne Miller represented the State of Texas during the cruelty hearing in court on Aug. 23. The Normans contested the state’s allegations that the animals have been unreasonably deprived of food, care or shelter. The court ruled them in violation of Texas Health and Safety Code 821.022, which is animal cruelty. The Normans agreed to forfeit ownership of all of the equine animals, and they were not charged with a criminal offense. At the hearing, the Wilbarger Humane Society was awarded custody of seven miniature horses and the donkeys that were owner-surrendered. Five of the miniature horses, one a stud and the rest mares, were released to their owner, Marie Bartlett of Oklahoma. Barnett originally loaned the horses to the Normans in hopes of producing more horses. In court, Bartlett showed photo evidence that the minis were in good condition prior to the loan. Wilbarger Humane Society representative Susan Robinson said that the evidence of the lack of necessary food, shelter and water was obvious. Robinson will care for the horses in the Wilbarger shelter and attempt to help improve their condition.